According to its website, the new business "is the Bay Area's first and only Stress Therapy Demolition Center whose purpose is to provide a venue to the public that encourages controlled chaos." Items available for smashing include television sets, glass bottles, computers, garden gnomes, and more. With a five-star rating out of five Yelp reviews, Break Stuff is on its way to developing a local fan base. David A., who reviewed the new spot on July 4, wrote, "My girlfriend surprised me with this experience and it was so rad! I never knew this kinda thing was actually a thing, but it is! 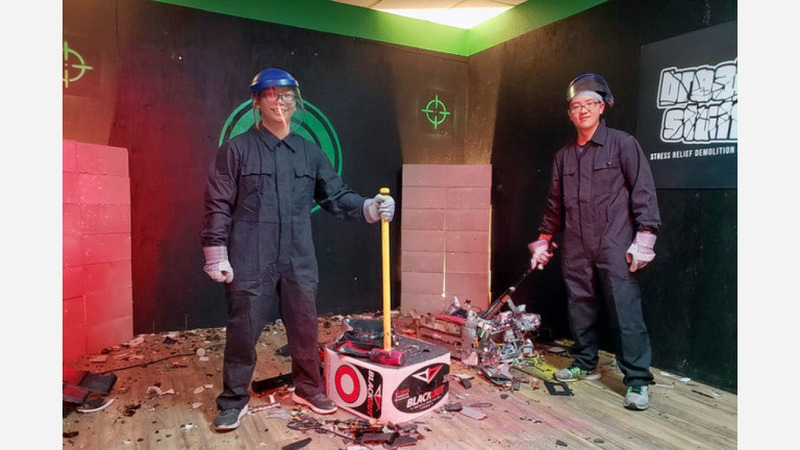 We had so much fun smashing stuff." "This was a ton of fun! I went with a group of co-workers after finding a Groupon," added Lauren B. "It's a great stress reliever and a fun weekend excursion. Pick out some songs ahead of time--we got caught off but managed to find some loud tunes to smash stuff to." And Chelsey C. wrote, "We used a sledge hammer and baseball bats to destroy a microwave, industrial office printer, a case of glass bottles and more! Would highly recommend!! We will be back again." Break Stuff is open from 1 p.m.-9 p.m. daily.